Welcome to Celebrate Brazil, my heartfelt reflections and experiences with Brazil culture and all aspects of life in Brazil! Join me as I share everything I am learning about Brazil food, Brazilian dance, Brazil music, travel in Brazil, the history of Brazil, and all aspects of life in this beautiful country and people. One of my favorite things about Brazil is the stunning array of gorgeous tropical rainforest plants that adorn all areas of the country. I feel truly at home amidst such incredible natural beauty. 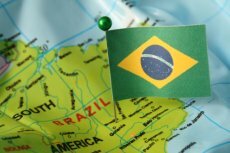 Another highlight for me about living there is the Brazil language of Portuguese which expresses the heartfelt passion that is the life of Brazil. I was born in the United States when we did not have the internet or the global communication that now exists. At that time, it was difficult to really get a good idea of what life is like in other places in the world. Most everything I read and learned was very centered on our own country, which provided a very limited view of the world. Thankfully as I grew up and learned about other cultures I realized that there is so much more to our world! My very first friend from outside the U.S. was Brazilian, and I fell in love with the country before I knew it! 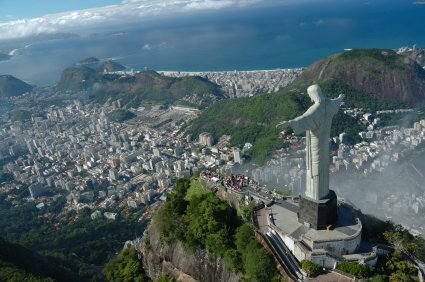 I was blessed to travel to Brazil on several occasions in the 1990's, and these visits not only changed the course of my life, but opened me to a whole new world of possibility. Since then Brazil culture has become a part of me, and in my heart I consider myself part Brazilian, although I have a very long way to go before I feel completely at home living there. I have a lot to learn, and this site is part of my ongoing process of learning. I'm thrilled to share what I'm learning with you! I have created this site to Celebrate Brazil and my love for this beautiful country and people. It is a small and humble project that I hope to grow in the years to come.